Thanks to subscription services, we now have more options available to us should what’s on at the cinema fail to excite. I recently heard about the Netflix film BLUE JAY, which premiered at the Toronto International Film Festival in September 2016 but surprisingly never made it past limited release in the cinemas. I’m glad I watched it. BLUE JAY was written by and stars Mark Duplass, whom audiences may know as David Kaczynski in the TV miniseries, MANHUNT: UNABOMBER. He’s also the younger brother of Jay Duplass, who plays Josh Pfefferman on TV’s TRANSPARENT. Here, Duplass plays Jim, a single guy nearing 40 who returns to his childhood home nestled in a small community in the mountains east of Los Angeles to pack up the house after his mother’s death. While out at the grocery store, he bumps into Amanda (Sarah Paulson, CAROL; THE PEOPLE V. O.J. SIMPSON; OCEAN’S EIGHT), his high school sweetheart, who has also returned home but to help out her sister who is about to have a baby. Amanda, we all learn, is married and is the step-mother to her husband’s two sons who are both in their final years of high school. Following the initial awkwardness of their impromptu reunion after 22 years, the pair settles back into their familiar patter from days gone by. Jim invites Amanda back to his home, and as the two reminisce about their happy and goofy times together, their emotional meeting also brings up some unhappy memories and the reasons why their relationship ended. Directed and lovingly shot in black & white by Alex Lehmann (ASPERGER’S ARE US), BLUE JAY is a poignant portrait of a pair of soul mates who should be together but aren’t. Duplass has said that he usually writes very detailed scripts but with this one he took a very bare-bones approach. The two actors knew where the characters were supposed to go but how they got there was left up to improvisation. 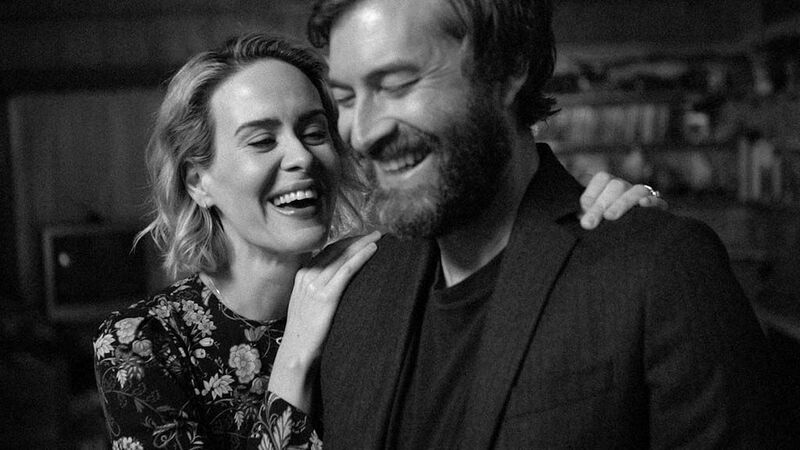 He and Paulson have such strong chemistry between them that you could be forgiven for thinking that they were once lovers themselves. Paulson, especially, is an absolute delight to watch as the two riff off of each other. Also delightful is 87-year-old Clu Gulager (THE LAST PICTURE SHOW; TV’s THE VIRGINIAN), who plays Waynie, the owner of the town’s convenience store. Gulager, who is now two years older, seems to be in no hurry to retire as he has appeared in two films this year alone. BLUE JAY is nostalgic, melancholic and bittersweet. If you’ve ever thought about a love lost and what could have been, you will enjoy this film. Definitely check it out! Someone has uploaded the movie to YouTube so if you don’t have Netflix, you can watch it there for free… for now!